WASHINGTON — Astrobotic, a company developing commercial lunar landers, announced July 26 that it will launch its first spacecraft to the moon on a United Launch Alliance Atlas 5 in 2019. The announcement offered no technical details about the launch. Astrobotic spokesperson Carolyn Pace said July 26 the lander will fly as a secondary payload on an Atlas 5 launch. She did not identify the primary payload for that mission. Astrobotic unveiled the Peregrine lunar lander concept in June 2016. The lander will be capable of carrying up to 265 kilograms of payload to the lunar surface on future missions. Airbus Defence and Space is providing engineering support for the lander’s development under an agreement announced last year. Under a separate agreement, DHL serves as the official logistics provider for the company. The company has signed up 11 deals from six nations to carry payloads on the initial Peregrine lander. This includes an agreement announced in June with Atlas Space Operations to carry a laser communications terminal on the lander. The Peregrine lander designed completed a preliminary design review in November 2016. Pace said the company was on track to hold a critical design review for the spacecraft early next year. 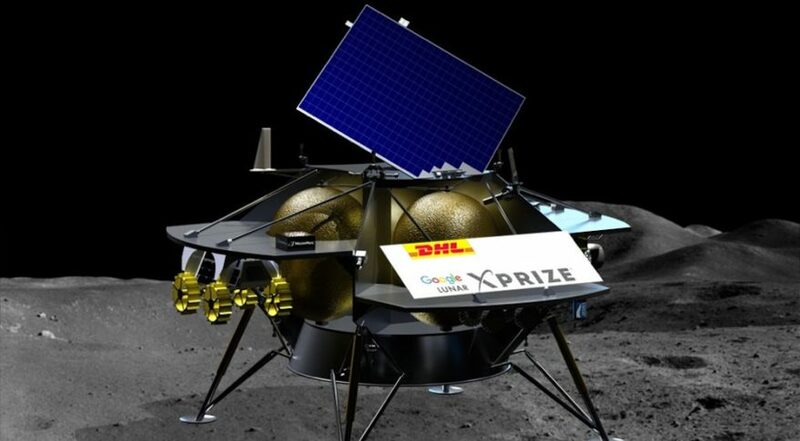 Astrobotic was originally one of the first teams signed up to compete for the Google Lunar X Prize, which offers a $20 million grand prize for the first privately-developed spacecraft to land on the moon, move across its surface and return video and other data. However, the company dropped out of the competition last year, concluding it was not feasible for it to sign a contract for a launch by the end of 2017, as the competition currently requires.